If you want to grow your business, you need to keep an ear to the ground and listen closely to your audience. One of the most effective ways of doing this is through social listening: paying attention to the conversations people are having on social media about your brand, competitors, industry terms, and pain points. Whether they’re talking to you or about you, monitoring your prospects’ conversations on social media has endless advantages. It can help you manage your online reputation, build a community, and complement your customer support efforts. But what many people don’t realize is when implemented effectively, social listening can help you generate leads – and more revenue. With the right tools and tactics, you can discover conversations around your brand and related industry terms. If you’re strategic and community-minded, these conversations will bring you new leads, stronger relationships and more conversions. Here are four specific ways you can generate leads simply by listening to your audience on social channels. 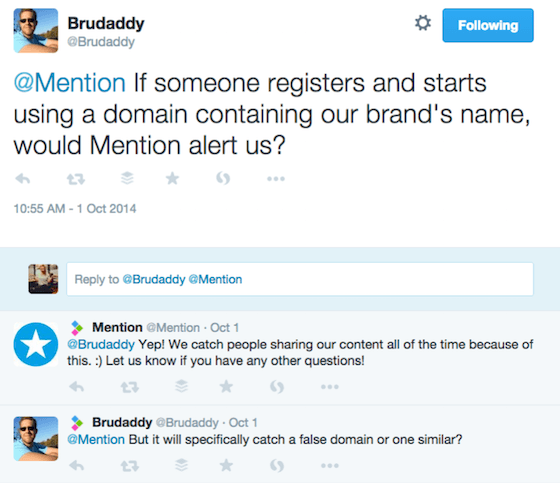 At the very minimum, you should be monitoring your brand name to know when people are talking about you. Though this sounds pretty obvious, many companies ignore this simple tactic. And by missing these conversations, they miss opportunities to answer critical questions, build new relationships, recruit new brand advocates, convert leads, and upsell current customers. In the example below, Bruce was doing his due diligence, testing a number of different media monitoring tools, including ours. Bruce has gone on to become one of our most engaged followers and content sharers. Answering all of Bruce’s questions in a timely manner helped him continue his research – and though Bruce hasn’t become a customer yet, he’s gone on to become one of our most engaged followers and content sharers. As an added benefit, learning what terms people use in association with your brand name is an effective way to discover what problem or need you are solving for them – in their own words. It’s also a great way to craft messaging for marketing campaigns that resonate with your target audience. 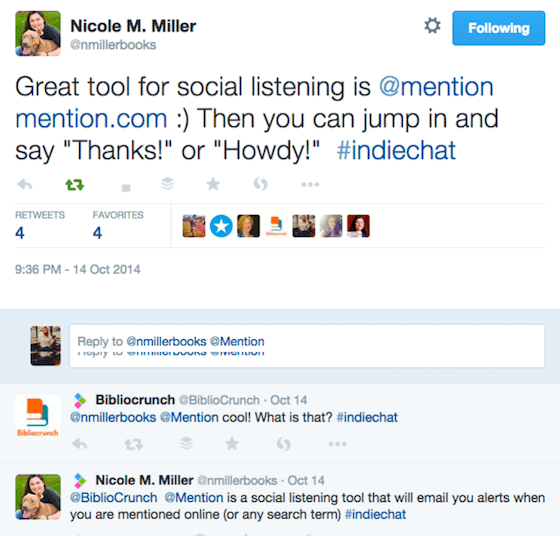 Keep in mind that social listening is important regardless of whether or not prospects are talking directly to you (i.e. using your Twitter handle). When we analyzed nearly 36,000 Twitter mentions delivered to more than 23,000 companies, we found that 31% of tweets containing company names do not include their handle. Answer questions quickly to shorten the amount of time between the first touchpoint and the conversion. Point to internal and external resources that will best educate your potential customer about the solution to their problem. Make note of questions so you can improve campaigns and marketing materials moving forward. Ask for offline conversations to humanize yourself and give your potential customer an opportunity to uncover how you can help them. Follow up on any questions asked to ensure you have answered their question completly and that your potential customer is well on their way to making a decision. 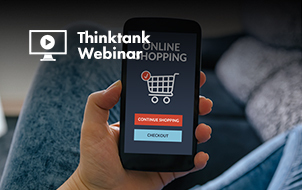 By monitoring competitor names, you’ll gain intelligence on what people like (and don’t like) about their offering, allowing you to adapt your offer accordingly. Further, looking at competitor mentions is an opportunity to educate yourself about the competitive landscape to determine what differentiates your brand. These findings will help you discover what you should emphasize in your messaging to further drive leads and sales. 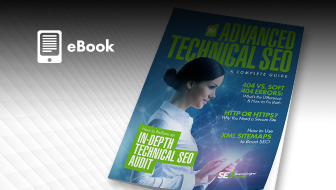 Monitoring your competitors can have other unforeseen advantages, as one company found out. 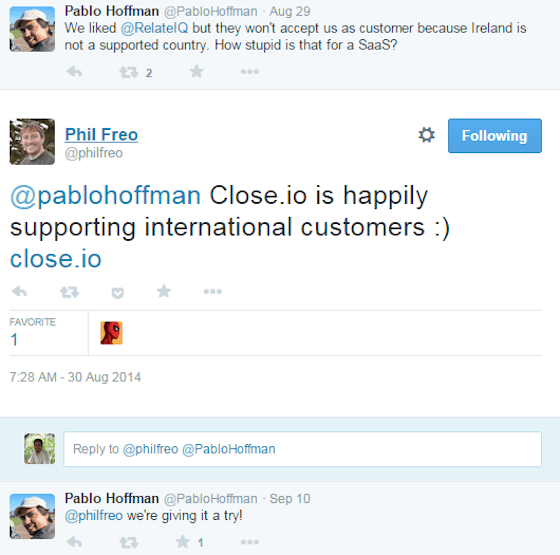 Close.io, a sales communication platform, recently closed $585 in monthly recurring revenue from one tweet. One of their competitors, RelateIQ, was acquired by Salesforce, which led to RelateIQ cancelling a lot of contracts with their international customers. To monitor these conversations, set up alerts in your chosen social media monitoring tool to catch all mentions across the web and social. For starters, it’s helpful to monitor “[competitor name] + alternative,” which will produce mentions from people looking for the solution you offer. Scroll to the bottom of the Advanced Search form on Twitter to check a sentiment or question box. No matter your method, be tactful. Give your competitors time to respond to complaints and issues – you don’t want to appear spammy or desperate. Add value to increase the likelihood that your potential leads will engage with you. Explain how you can help beyond suggesting the person sign up for your product or service. Keep communications light and conversational. If you talk to potential customers as you’d talk to a friend, they’ll find you more relatable and will be more willing to have a conversation with you. Remember, these relationships take time to build. Be patient and start simple. By building a valuable (and unconditional) relationship upfront, you’re more likely to recruit a loyal and lasting customer. Another approach to generating leads with social listening is to monitor industry terms or phrases that represent a pain point or problem you’re looking to solve. Breaz.io, a marketplace that connects web developers with the best opportunities in tech companies across Europe, tried their hand at this approach. 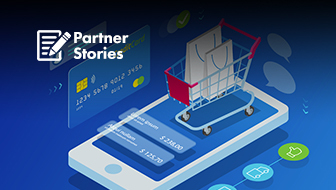 By monitoring the problem their potential customers are looking to solve (recruiting tech professionals), Breaz increased their lead response rate by 5x. 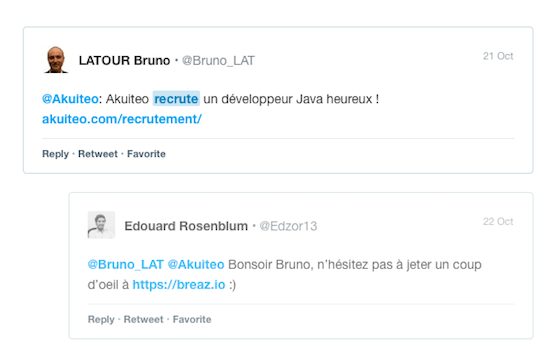 In this example, Eduard from Breaz responds to a gentleman looking to recruit a Java developer. Front, a collaborative email client, recruited their first beta users with this approach as well. They created a list of keywords they thought people would use to talk/complain/ask about email clients on Twitter (i.e. tweets containing: “recommend + email + client”). 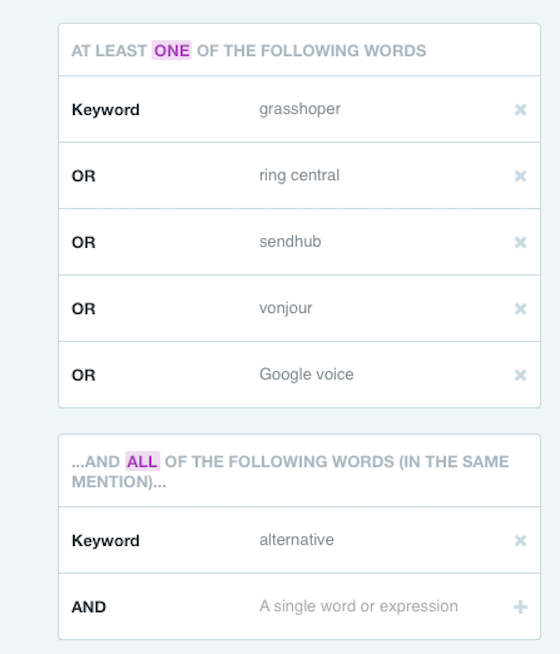 After these keywords generated relevant tweets, they began reaching out. The result was an average of 15 new qualified beta subscribers per week. And all of these “side effects” were achieved in only 45 minutes per day. 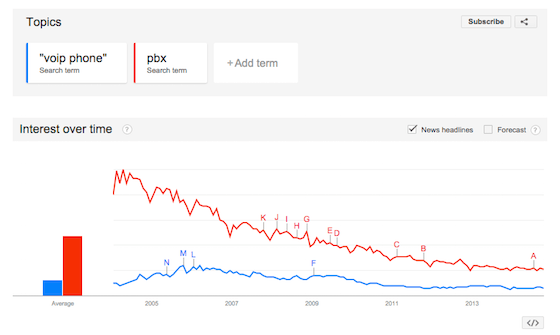 When selecting which key terms for monitoring your customers’ pain points, give Google Trends a try. Equipped with this information, they did a little keyword research and ended up tapping into an entirely different market: companies hiring employees across a variety of countries. These companies needed a solution for communicating internationally, and may not have thought about an online phone system. 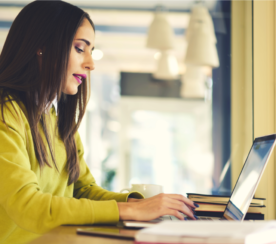 Use Google Trends, Ubersuggest, or a tool like Moz’s Keyword Analysis to identify keywords that potential customers are searching for.Monitor these keywords to identify and join relevant conversations. 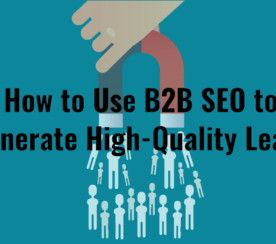 After qualifying a person as a potential lead, be helpful, empathetic and not overly sales-y. Remember, it’s about building relationships first and closing second. If potential customers are talking about their problems, focus on the person, not your product or service. Sometimes the most valuable relationships can be built by simply being plugged into trends and relevant conversations in your industry. Twitter chats, for example, are a great place to meet people whose interests pertain to the problem your product or service solves. Sure, you’re not going to make a hard sale or ask someone if they want a demo when participating in these events, but you are going to make valuable connections. For anything marketing related, I highly suggest checking out #bufferchat, #insiderchat and #semrushchat. As a bonus, there’s usually a question in these chats asking for helpful tools and services. As long as you include others, it’s perfectly fine to namedrop your own brand. At Mention, we’re lucky enough to sometimes get mentioned in various Twitter chats (even ones we’ve never heard of). When people suggesting us as a tool, it usually leads to at least a few new people signing up. Someone mentioned our service in this Twitter chat. 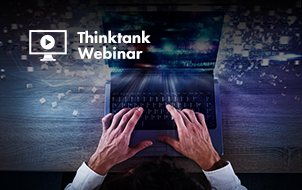 After joining in a few times and being a valuable contributor, you may even be asked to become a guest, which is a great way to build thought leadership and – you guessed it – generate leads. Introduce yourself and respond to fellow chat participants. Answer all questions honestly and transparently. Don’t sell yourself. The valuable information you’re sharing will do that for you. Social listening allows you to identify the conversations your audience is having so you can learn more about their problems and goals. It gives you the opportunity to provide them with better support. Best of all, it provides a shortcut to a wealth of people who have the issue your product or service solves. Make the most out of it! 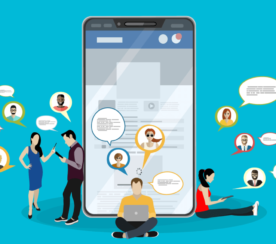 By incorporating social listening into your social media marketing strategy, you can streamline your messaging and get everyone on the team helping with lead gen – community, content, support, and beyond. Over to you. 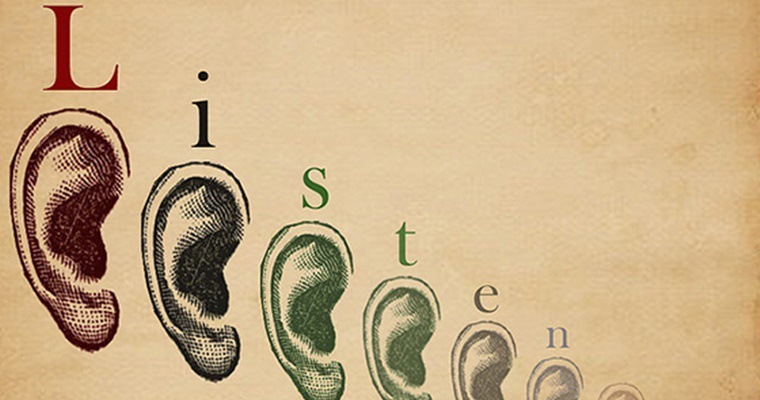 How does social listening feed into your lead gen strategy?